The real title of this blog post should be Good News, Bad News. I am referring to the fact that at the end of January, two state representatives introduced a bill to regulate massage therapy in Vermont. At face value that seems like good news, but it is not. To understand this conundrum, we need to start with a basic understanding of state regulation of a profession, how that happens in Vermont and some history about massage therapy regulation. States impose regulation on a profession for one reason: To protect the public. To understand the rationale for the regulation process lets look at medical doctors. The state feels there is risk if it does not establish a standard of practice (a set of guidelines for providing high-quality care), a basic education requirement, and a continuing education requirement. Regulation provides several protections: a doctor must be properly educated to practice; a physician who does not meet the standard of practice may be investigated and, if appropriate, their license revoked; continuing education will be monitored. Pretty straightforward, right? Well it’s not just medical doctors that are regulated by the state. Hairdressers, landscape architects, physical therapists and many, many more are regulated. All are regulated as a means of public protection. In most states, the process for regulating a profession starts with the introduction of a bill in the state legislature. However, that is not the case in Vermont and a handful of other states. Here, there is a process called the Sunrise Application that a profession must go through (and pass) before proposed legislation can be passed to a state legislator for introduction, consideration, and vote. The Sunrise Review process puts the ownness on the profession to prove that regulation is necessary. (Remember, regulation for a profession is to protect the public.) The Sunrise Application is submitted to the Office for Professional Regulation (OPR). Once the application has been reviewed by OPR counsel (an assigned lawyer) by an open hearing is held for any interested party to speak for/ or against the proposed regulation. After the hearing the OPR counsel will make a recommendation to the director of OPR. But it is the director who puts the final stamp on the application. In 2010, with the help of a group of massage therapists, representatives of massage organizations, a CAM (Complimentary & Alternative Medicine) advocate who works on the national level, and a legislative consultant who has help create massage regulation in many states, I submitted a Sunrise Application for massage therapy (over 1000 pages long). After an open hearing with good discussion by massage therapists on both side of the argument for regulation and a positive response from the OPR counsel assigned to this application, OPR came back with an official ruling against regulation for massage therapy. The stated reason for OPR’s decision is that the director did not believe there had been enough instances of documented harm involving massage therapy. I maintain my Washington massage license because Vermont does not currently have any state regulations for massage therapy. So why do other states think massage therapy should be regulated? Regulation for any profession is based on public protection. So the real question is “can massage therapy cause harm?” The answer is yes. Harm can come in many forms: physical, emotional, financial, etc. A basic massage therapy training (usually at least 500 hours) clearly defines in what instances massage therapy should not be done because it is contraindicated. A few examples…There are times when massage is completely contraindicated for a person, such as fever, or when a single area should not receive treatment, such as varicose veins. Even further, there are time when massage therapy should be received only with the approval of a physician, such as post surgical and cancer treatment situations. Harm can be immediate or potential. Immediate harm could be a burn from a hot stone massage. While potential harm is certainly present when massaging a calf that has a clot (deep vein thrombosis), the real harm develops when the clot could break free causing an obstruction elsewhere in the body. Potential harm is equally important to recognize in the instances where empirical data does not yet show examples of harm. In order to understand the potential for harm a massage therapist must be appropriately educated. The financial harm of committing to a long-term course of work with a massage therapist who can not show their skill base and it’s effectiveness is another reason for regulation of massage therapy. Massage is a very intimate experience. The therapist must be able to appropriately and respectfully navigate the relationship with each client. A massage therapist makes people feel better, but must remain professional. With the current lack of standards in Vermont, anyone can call themselves a “massage therapist”. There is no definition of what’s massage therapist is, what a massage therapist can do, and how a massage therapist is to conduct business. Now that I have convinced you of the need for massage regulation, why am I suggesting not supporting Vermont House Bill 644? The current proposed legislation, H 644, is a reactionary piece of legislation written in response to the ever present problem of prostitution and human trafficking occurring under the guise of massage therapy. Regulating massage therapy is not an effective way to to manage prostitution and human trafficking. I am in no way advocating for prostitution (that is a blog post for another day). Those issued should be addressed directly. The bill outlines in very slim terms a basic education of 500 hours (or for existing massage therapists, 5-years of practice). There is no definition of what that education includes or the need/requirements for continuing education in the field. It is obvious that this bill was not actually written about massage therapy. Let’s start with a well written bill that is focused on the profession it is regulating rather than hijacking massage therapist as a means to convicting the criminal activities of prostitution and human trafficking. 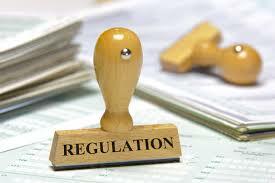 Talk to your massage therapist about what is happening in massage therapy regulation. Talk to your friends about the benefits of massage therapy. Read the legislation we proposed to OPR in 2010 (no need to read the entire sunrise application). Write your state senator and representative sharing your concern about the poorly drafted H 644. This entry was posted in Massage Regulation and tagged massage license, massage therapy, massage therapy regulation, Office of Professional Regulations, professional regulation, Vermont House Bill 644. Bookmark the permalink.